Retailers, get ready. 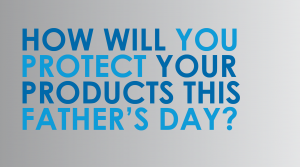 Mother’s and Father’s Day symbolizes two of the peak spending seasons in the retail industry. Consumers say that they will shower their dads this year more than ever. Father’s Day spending in the US is expected to spike to $14.3 billion this year. According to NRF surveys, that is the highest figure for Dad’s Day in US history. Equally, retail spending on Father’s Day gifts in the UK has also been on an uphill journey over the past three years. It’s encouraging to hear that families are planning to splurge on their dads this year, but with the indulging comes several aftereffects. Yes, it means profit increase. But with the increase in revenue and store traffic, comes the possibility of increased shoplifting attempts. With the growth of smart accessories such as fitness and smart watches, it may be safe to say that the number one spot on the top-gifts-for-dad list this year is not going anywhere any time soon. So what is your plan to keep these hot commodities safe this weekend? If you don’t have a security plan for your accessories this year, you may want to check out VPG’s EnCore. The EnCore was designed to be the most versatile accessory solution in the market. With multiple alarm points, mounting options, and the ability to support a wide variety of sensors, the Encore is the perfect solution to complete any accessory display. Think ahead this Father’s day and remember that the shopping spree is not over until Monday. Keep your stores under your control- not the shoplifters’. Find out how you can secure your hottest products today for future peak spending seasons.